Unfortunately, it does not sell health insurance policies. If you need health insurance, type your zip code into the free toolbox on this page and look through health insurance rates from providers in your immediate area. 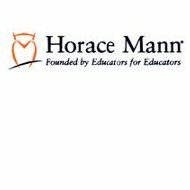 Horace Mann markets its products to educators throughout the nation. The company was founded in 1945 by educators with the purpose of providing those in the education field with financial stability through a range of products. The company continues to support teachers, not just with its products, but also through the funding of scholarships and a Fellowship program. Life insurance payment should be sent to the corporate address above. Customers who pay their premium through automatic payroll deductions get a discount, as well as customers who are also members of a credit union. Educator Advantage® also broadens an Emergency Road Service policy, which must be purchased separately. The company’s experience and familiarity with teachers and their needs is apparent in its NEA Homeowners Program, which offers extra coverage to NEA members at no additional cost on their homeowners’ policy. Life insurance options are the standard term or whole life policies, while disability income insurance will help protect your income when you become disabled from a covered illness or accident. The Horace Mann Educators Corporation has received a financial strength rating of “A-“, or “Excellent” from insurance industry rating giant A.M. Best Company, which has also assigned it an “a-” for its issuer credit rating. A.M. Best sees Horace Mann as having a stable outlook, which is a good sign (along with the other two ratings) that the insurance provider will be in business long into the future. The Better Business Bureau has given Horace Mann an “A+” grade for its corporate headquarters location. While the company had 30 complaints filed against it since November 2008, the BBB was satisfied with Horace Mann’s handling of the complaints. If you’re considering purchasing insurance policies from Horace Mann, you can rest assured that it should be around down the road, when you need to cash out any of your insurance policies after years of paying into them. It also appears that the company is prompt in handling and resolving any customer complaints with its products and services. Health insurance is one of the most important ways to protect yourself and those you love. Start by perusing health insurance quotes from providers in your area — just type your ZIP into the box below!